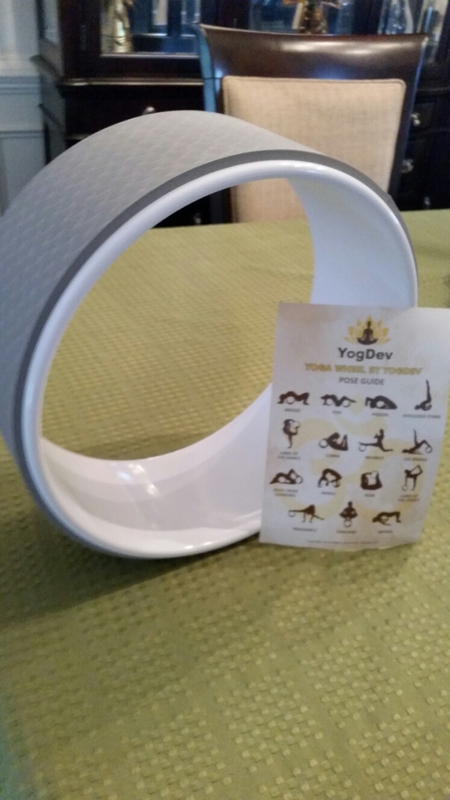 See me Rolling….with the YogDev Yoga Wheel! – It's An Adrienne Thing! I practice Yoga but not sure I’d call myself a Yogi. I do enjoy trying poses, especially balancing poses. I feel that I could do most balancing poses without a problem and was in need of something more challenging. 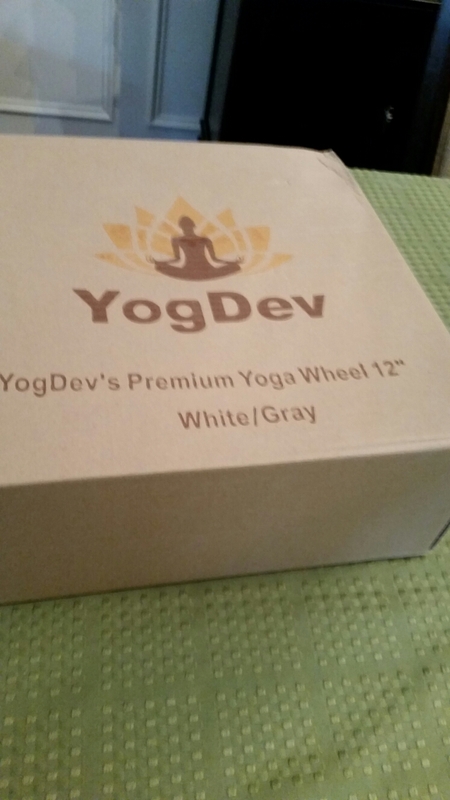 To my excitement, I was given the YogDev Yoga Wheel in exchange for my honest review. It was nicely packaged and bigger than I expected. The wheel itself seemed incredibly sturdy and the material on the outside is soft and durable. I was surprised that this Yoga Wheel came with a pose guide and of course, I had to attempt Garland. Total fail but definitely on my list of poses to master. Other than balancing poses, I tried a great relaxation & chest opener, which I would ordinarily do with a Foam Roller. 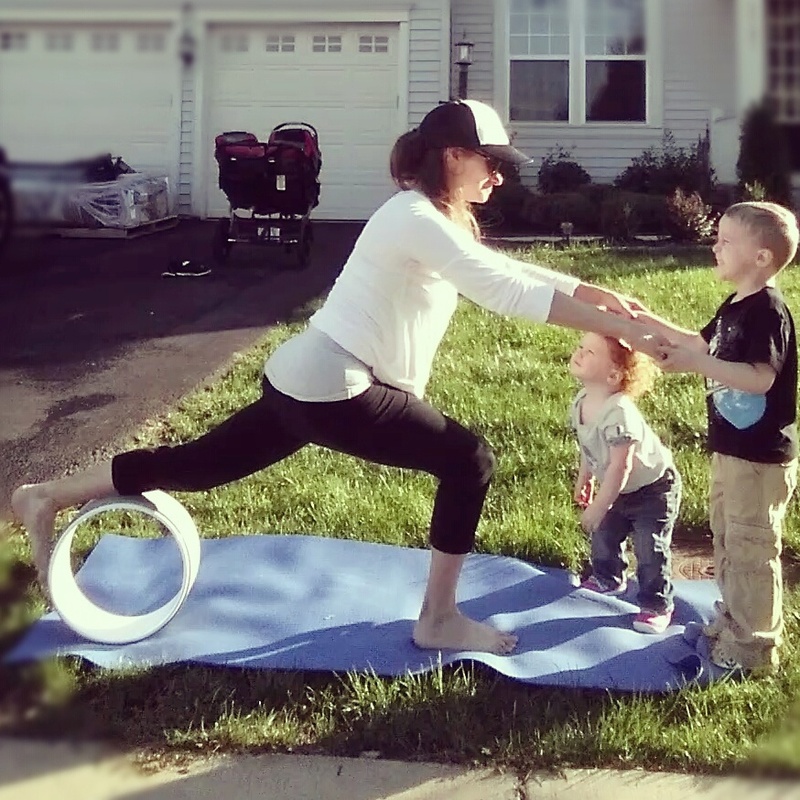 I placed the upper/middle part of my back, along my spine, on the wheel and opened up my chest by extending my arms out to the side ,while keeping my bum on the floor – it was amazing. A much deeper stretch than with the foam roller. My only concern is keeping the wheel from becoming damaged. I like to practice my Yoga, & other fitness, outdoors and I tend to scratch my fitness toys! Overall, I’d recommend this to any Yogi wanting to further their practice and add a level of difficulty or use for assistance. I highly recommend heading on over to http://www.YogDev.com to get your wheel today!